A national research organisation, the Council for Scientific and Industrial Research, is established in terms of the Scientific Research Council Act (No. 33 of 1945) of the Parliament of the Union of South Africa. Dr Basil Schonland, the leader of the group of scientists who developed the first radar in South Africa, becomes the founding president of the CSIR. This positions the CSIR to play a leading role in the development of radar and electronic warfare measurement, test and evaluation facilities. 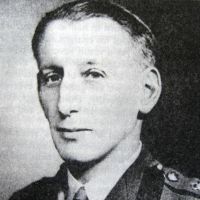 Dr Trevor Lloyd Wadley invents the first microwave electronic distance measurement equipment, the tellurometer. 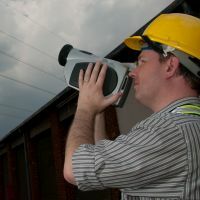 The tellurometer revolutionised land-surveying throughout the world. 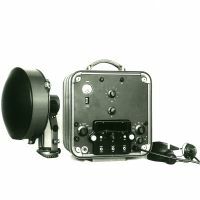 The company set up to manufacture the tellurometer maintained the market lead for this equipment for over 25 years. 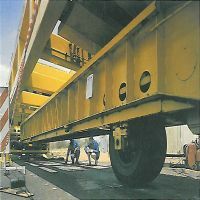 The Heavy Vehicle Simulator (HVS) is developed for accelerated pavement testing of road materials. The effect of 20 years of traffic can be determined in a three-month period. To date, the HVS has earned more than R200 million in foreign revenue for South Africa. Commissioning of the ‘Meiring Naude’ research vessel in support of the CSIR’s multidisciplinary oceanographic research activities. The vessel is used to study the movement of sand and how it influences the siltation of the Durban harbour entrance. 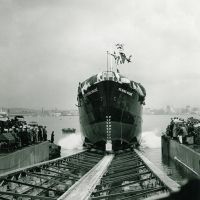 The demand for applied research in coastal engineering later led to the establishment of a hydraulics research unit. Through the discovery of lithium-metal-oxide electrode materials with a spinel-type structure, the CSIR contributes to lithium-ion battery research. 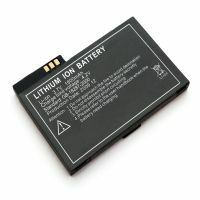 Today, lithiumion batteries power our smart phones, laptop computers, electric vehicles, smart grids and even our homes. 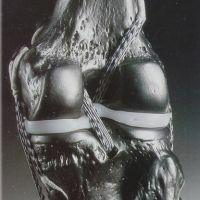 CSIR biomaterials research leads to the invention and development of the bollard, an implantable expanding rivet used in conjunction with a prosthetic ligament for repair of cruciate ligaments in the knee. More than 60 000 devices were sold over three decades. 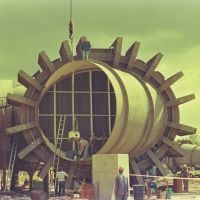 The construction of a medium-speed windtunnel expands the CSIR’s aerodynamics research capability. Today, the CSIR’s wind tunnels continue to be used in aerodynamic design tests and studies for local and international entities in the aeronautical sector. 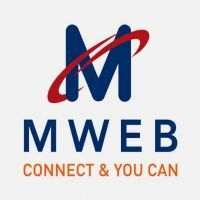 The CSIR’s online services, including Worldnet Africa and CompuServe, are sold to MIH Limited, to form MWEB. It marked the start of commercial Internet services in South Africa. Today, the company continues to take advantage of the demand for connectivity. A forecasting model is developed to predict the outcome of the national elections, based on early voting results. 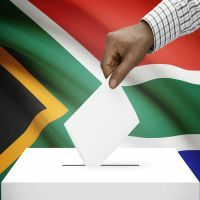 The model has since been used to predict the results for all the national and local government elections. 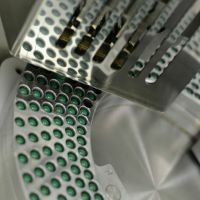 The CSIR officially opens its clinical and botanical supplies unit. The facility is key in scientific studies that aim to add value to South Africa’s rich biodiversity and indigenous knowledge. It helps bridge the gap between laboratory research and clinical trials through the production of pharmaceutical grade herbal products. 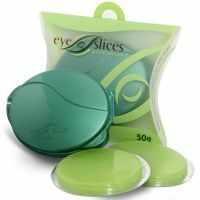 The CSIR’s water-soluble polymer gel technology is licenced to create innovative, cryogel eye treatment pads, called Eyeslices. The company raked in numerous awards, including a Technology Top 100 Award in 2007 and continues to do business around the world. 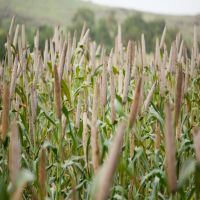 The CSIR achieves a world first in the development of techniques to genetically engineer pearl millet, with the technology being applied as the first stage in a process to introduce downy mildew resistance in millet. 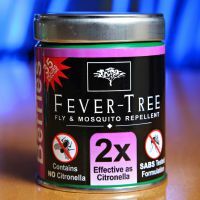 A benefit-sharing agreement is signed between the CSIR and owners of indigenous knowledge, leading to the development of a locally produced mosquito repellent candle using the oils of indigenous plants. A licensing agreement with Zollhaus International (Pty) Ltd later resulted in the candles being sold by major retailers in South Africa. 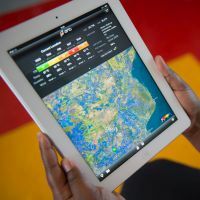 The CSIR develops the Advanced Fire Information System (AFIS), which uses satellite data to detect fires in real time and automatically sends warnings directly to users via cell phones and tablets. AFIS has since been adopted by Eskom, as well as local and international conservation and fire prevention and management organisations in Argentina, Portugal and across southern Africa. 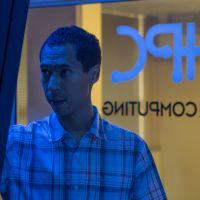 The Centre for High Performance Computing is launched, affording local researchers the advantage of using massive computing power in their quest for new knowledge and application. In 2015, the centre provided a dedicated computing cluster to help the European Organization for Nuclear Research, CERN, with two particle detector experiments. 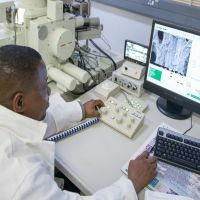 To capitalise on the benefits of nanotechnology, South Africa invests in the National Centre for Nano-Structured Materials, where researchers create nanomaterials to benefit various industries. Some ten years later, a scale-up facility would follow for the testing of nanomaterials on an industrial scale. A range of cameras, which visually displays the corona discharge around a defective, high-voltage electrical installation, is licenced to UViRCO Technologies. The company goes on to capture some 50% of the world market and export high-tech camera inspection systems to 40 countries. The CSIR unveils its state-of-the-art containment level 3 laboratory for experiments involving HIV and TB pathogens. 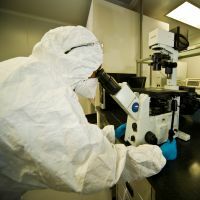 It enables researchers to conduct research and proof-of-concept studies for new HIV/Aids and TB diagnostics or therapeutics. 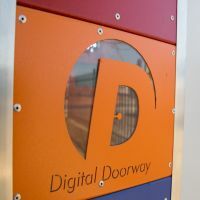 The CSIR-developed Digital Doorway, a computer terminal equipped with educational games and applications, design functions and access to the Internet, is named one of the ‘Top 50 inventions in the world’ by Time Magazine. 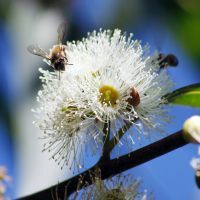 A Eucalyptus clone developed by the CSIR and its collaborators is awarded the First Plant Breeders’ Rights for Eucalyptus locally. New tree breeds with better pulping properties will help counter predicted shortfalls in the supply of wood. 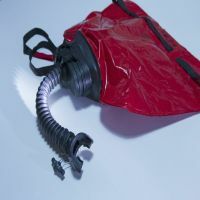 The CSIR licenses its patented rubber mouthpiece, used in self-contained self-rescue breathing apparatus, to Afrox. These rescuers supply mine workers with oxygen during emergencies such as fires or explosions underground. Earlier, the CSIR also redesigned a nose clip that was distributed globally, with over half a million units sold worldwide. 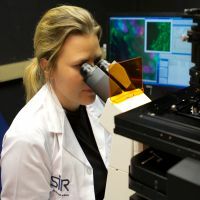 The CSIR makes a breakthrough in biomedical stem cell technology by generating the first induced pluripotent stem cells in Africa. Scientists use these cells to study the interactions between pathogens and specific cell types in the context of African genetics. The launch of a titanium pilot plant follows the development of a novel, CSIR-patented process to produce primary titanium metal. While South Africa has large reserves of titanium-bearing minerals, the ability to economically extract the mineral from the mineral concentrate, using the CSIR process, will help create a new downstream industry. 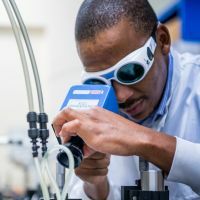 CSIR laser scientists demonstrate a digital laser that offers a method of controlling and altering the beam of a laser from within the unit. Traditionally, beams are altered as they leave the laser, or via a costly refit. Researchers demonstrate a large 3D printer for titanium parts, an advancement in additive manufacturing that is needed to manufacture parts for the aerospace industry. 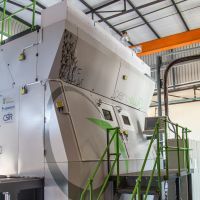 The printer is set to produce large, complex metal parts and large volumes of smaller parts for the aeronautical engineering and manufacturing industries. 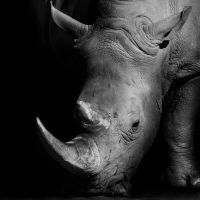 To help combat rhino poaching, the South African National Parks takes a joint control centre in the Kruger National Park into use. A CSIR-developed tool for improved surveillance, called CMore, is used to provide intelligence to decision-makers. It integrates and processes data from different sensors and communication devices. Three CSIR-developed biotechnologies start their commercial journey. Persomics is founded and markets technology for the miniaturisation of genomics experiments that make it possible to investigate cells faster than previous possible. 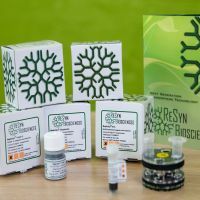 ResynTM Biosciences offers products based on improved microsphere technology, targeting the life sciences research and development market. OptimusBio develops environmentally friendly products for the treatment of wastewater, aquaculture and agriculture. To accelerate the translation ofbiotechnology research and development into market-ready products, a Biomanufacturing Industry Development Centre is established at the CSIR. 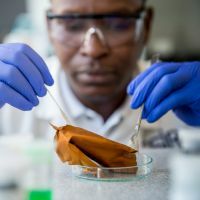 The centre provides product and process development support to South African small- and medium-sized enterprises that intend to produce biologicals for industrial, veterinary and human applications. 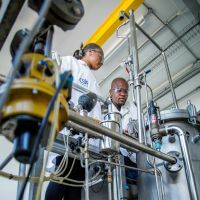 Hydrogen research infrastructure that forms part of the Hydrogen South Africa (HySA) initiative is launched at the CSIR. 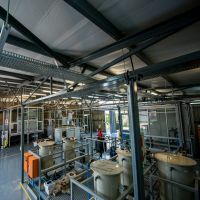 The facilities pave the way for researchers to find a way to more easily store hydrogen, at ambient temperatures and without too much added weight or cost. Hydrogen has great potential as a clean energy alternative to fossil fuels. 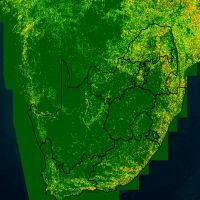 CSIR researchers create the first high resolution, Locally calibrated national map of woody cover for South Africa using satellite-based synthetic aperture radar (SAR) mapping with existing light detection and ranging (LIDAR) datasets derived from airborne surveys. It is valuable to manage forests, monitor biodiversity and plan clearing of alien plants. 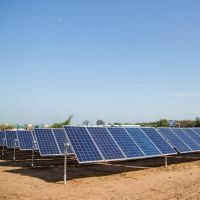 The CSIR installed its first solar photovoltaic (PV) power plant at its Pretoria campus as part of investigations into technologies and policies to support the increased use of renewable energy in South Africa and to study aspects of distributed energy generation. 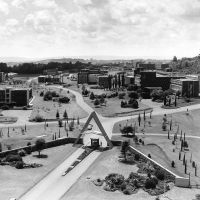 It follows the earlier formation of the CSIR Energy Centre. It also marks the start of the journey to a carbon-neutral campus.